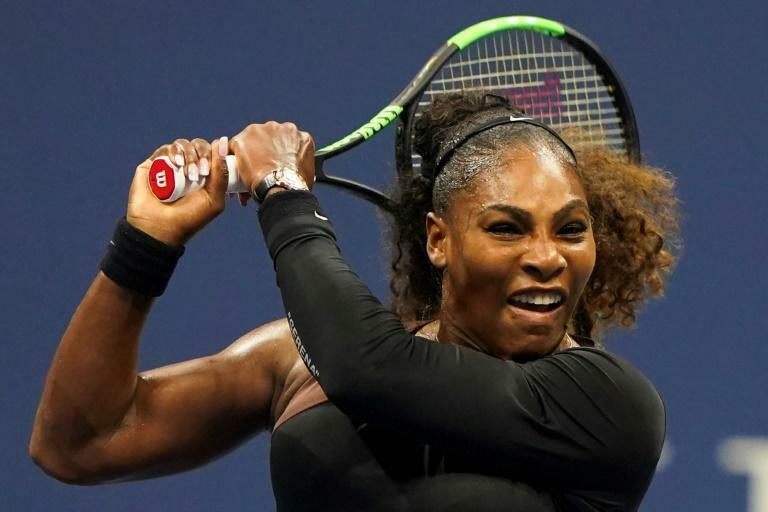 Serena Williams roared through her 30th career meeting with her sister Venus on Friday, booking a US Open fourth-round berth with a 6-1, 6-2 victory. Serena was all business for the highly anticipated all-Williams clash under the lights on Arthur Ashe Stadium. Despite -- or because of -- the emotional and tactical challenges of facing Venus, the 23-time Grand Slam champion said the match-up brought out the best tennis she has played since she came back from the birth of her daughter Olympia last September 1. "Absolutely this was my best match since I returned," said Serena, who blasted winners off both wings -- 34 in all -- and fired 10 aces in the 72-minute match. Both players were subdued on court. There were no fist-pumps or "Come ons" and when Serena sealed it with a forehand winner the sisters met at the net for a hug and walked to their chairs before Serena acknowledged the crowd with a wave. "It's not easy," she said of facing Venus. "She's my best friend. She means the world to me. Every time she loses I feel like I do." Venus's seven Grand Slam titles include a victory over Serena in the 2001 US Open final. But Serena has gone on to beat her in seven of eight major finals since then and now owns an 18-12 record over her elder sister. The third-round encounter marked their earliest meeting in a Grand Slam since Venus beat Serena in the second round of the 1998 Australian Open -- the first time they met as professionals. "It's not very easy, but it's a tournament and we all know there's more to life than just playing each other and playing tennis," Serena said. Not even a brief injury scare could slow Serena. She rolled her right ankle in the second game, taking a medical time out to have more tape added to the bandage she was already wearing under her sock at the next changeover. There was no sign she was affected as she broke Venus for a 3-1 lead and she pocketed the first set after 31 minutes with a love game punctuated by her fourth ace. Venus had four game points in the previous game before she was broken to trail 5-1. The second set was more of the same. Serena quickly gained the upper hand with a break in the opening game and broke Venus at love for a 4-1 lead. Perhaps the first sign of nerves showed in two double faults in the final game -- including one on her first match point. But she followed each with an ace as she set up a clash with Estonian Kaia Kanepi for a place in the quarter-finals. Kanepi, who toppled world number one Simona Halep in the first round, defeated Sweden's Rebecca Peterson 6-3, 7-6 (7/3).